Twitter is a relatively new addition to the Internet, so many people have not considered the ways that the social media site is affected by the law. To begin with, since the site is so new, precedent is usually being set as cases are brought to court. This obviously creates a lot of murkiness in terms of the way that cases will go until they are decided for the first time. However, there are a few common issues that come up on any social media site, and from these occurrences we can see where the law relates to Twitter. To begin with, does the person who creates a Twitter hashtag have ownership of it? The answer for the most part is no. 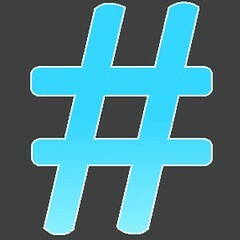 There are a variety of ways that hashtags can be subverted from their original intention. The most common reason is due to duplicate or similar names, and this is clearly not malicious. Actors and actresses share the same name as a lot of non celebrities, and many band names are similar to or the same as a variety of products and items in day to day life, such as the bands Blur and Garbage. Occasionally a Twitter hashtag hijack will occur. This happens when a group of people whom are unhappy with a company or person or band, and creates a large amount of tweets filled with negative comments and references the hashtag. One recent example of this occurred when McDonald’s created the #McDStories hashtag, which the company expected to generate a flood of tweets describing good memories while eating at their fast food chain. However, the actual results ended up being a large amount of negative tweets about the restaurant. So what can a company do when they are hashtag hijacked? Unfortunately, the answer is very little to nothing. While McDonald’s could sue individuals for defamation or slander, the negative press that would result would be worse than their Twitter issues. Additionally, since there are a large number of people creating these tweets, suing one person, even if they did succeed, would have a negligible effect. On the other hand, there are some types of tweets that can have legal ramifications. Tweets that threaten people are taken as seriously as a threatening phone call or letter. There have been a variety of cases where tweets to celebrities or particular individuals were looked into by law enforcement. One recent example of this occurred when Taylor Armstrong, of the TV show Real Housewives, received a string of direct tweets threatening to kidnap her and her daughter. In that case law enforcement did track down the person responsible for the threatening tweets. Another way that Twitter can get people in hot water is when they tweet about things related to court matters. For instance, many people who were arrested during the height of the Occupy Wall Street protests tweeted that they were expecting to be taken to jail. When they went to court, they found that their tweets were being used to prove that they intended to be arrested, preventing them from arguing that they were wrongfully arrested or that they were not aware that their activities were against the law. In many cases there is little that a large company can do legally as recourse against negative or damaging tweets. On the other hand, it is important to self filter when posting on social media sites because there are a variety of instances where people can find themselves in hot water due to what they have said on the internet. This has been a guest post from Sam. Sam is an Internet marketer and blogger who also frequently contributes to Quick Sprout, a digital marketing agency.